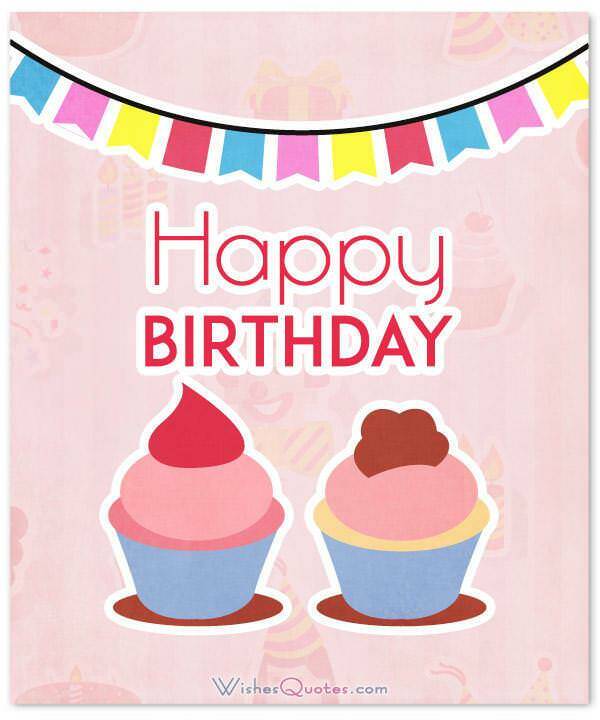 WishesQuotes » Birthday » Adorable Birthday Wishes for a Baby Girl. Happy Birthday, Little Girl! 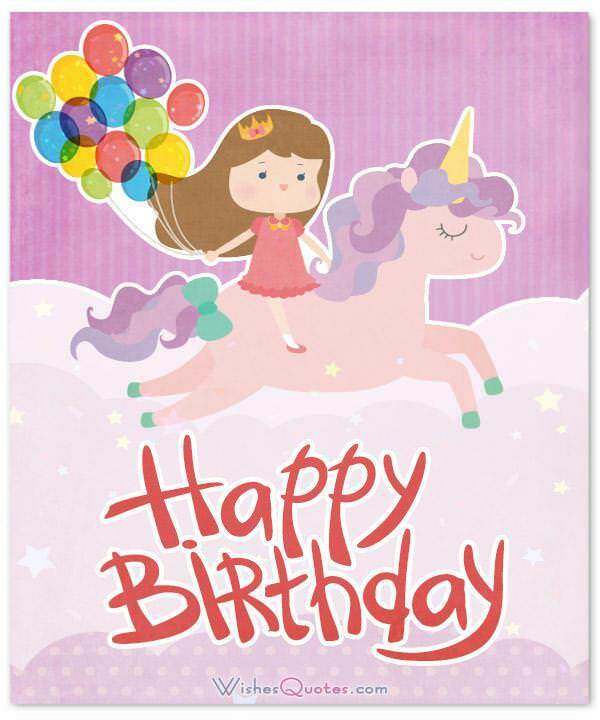 Browse through our collection of unique birthday wishes that are proved to be adored by all baby girls out there! If you want to prove that you care about that little girl, then your chance is now! 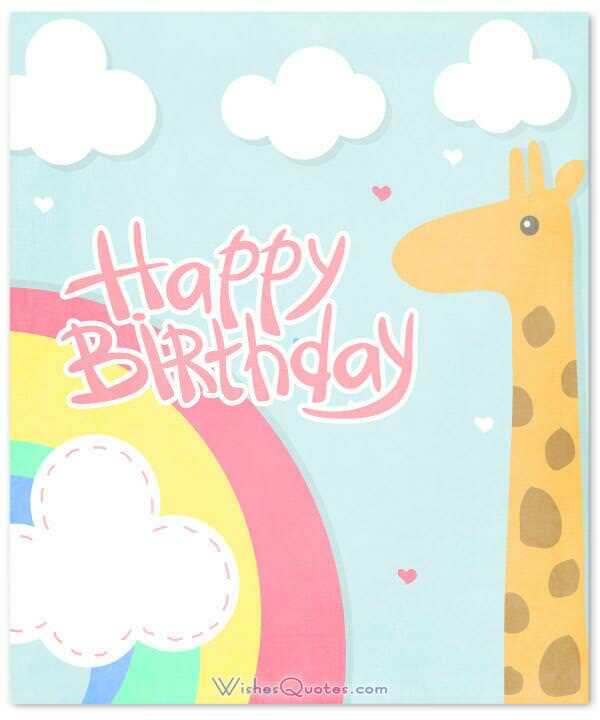 There is no other day like one’s birthday to show them appreciation by the means of a birthday wish, or maybe even a handwritten birthday card! So, if you need some quick tips, maybe even some inspirations, then you’ve come to the right place! This cute princess has stolen everybody’s hearts from day one. I hope that her big day is as special and adorable as she is. I want to wish your beautiful daughter the best of luck on her birthday. She is the most wonderful gift you ever received! 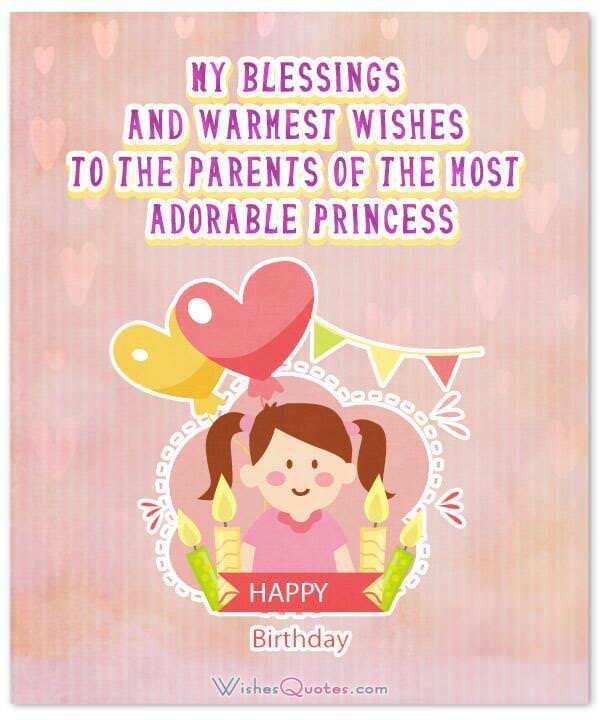 I wish the happiest birthday to your darling baby girl! This adorable baby has brought so much happiness into your lives. May she enjoy all the gifts and cake! My blessings and warmest wishes to the parents of the most adorable princess! Wishing you years of happiness and laughter as you celebrate your precious girl’s birthday! My dearest baby girl, you’ve shown me the blessing of being a parent and the amazing feeling of caring for someone more than yourself. I thank you for making my life one worth living. Happy Birthday! Ever since you came into my life, I’ve found a new reason to get out of bed every morning and it is making your day as enjoyable as possible! I love you from the bottom of my heart. Happy Birthday! The day you were born, is definitely one I will never forget because it is the day I witnessed the biggest and brightest miracle of my life! Happy Birthday! If I could only have one wish for your birthday, it would be that you grow up to achieve all of your dreams, so I can stand beside you, as the proudest parent in the world! Happy Birthday! Getting to raise you has been the greatest blessing a person can receive. You are truly a gift not only to our lives but to the entire world! Happy Birthday! Waking up every day to the sound of your cries have been the sweetest alarm clock a person can set! I truly am proud to be calling myself your parent. Happy Birthday! Looking at you, my faith in humanity is being constantly restored, because if a person can be as amazing as you, then it is destined to change the world! Happy Birthday! No matter how much I love sweets, none of them comes even remotely close to how sweet you are my dear child. I love you more than you could ever possibly imagine. Happy Birthday! When I first saw you right after you were born, I couldn’t help but think how lucky I was, getting to be the parent of such an amazing little angel like you. Happy Birthday! I can safely say, that you are the most adorable little creature I’ve ever witnessed in my life. You have no idea how amazing it is to witness your growth every single day. My love for you has no end. Happy Birthday! As you begin this brand new chapter in your life, my only wish for you, is that you grow up to be the person you desire and fulfill all of your wishes, because that is what would make your parents the proudest people in the world! Happy Birthday! You’re growing so fast, that every time I see you it feels like you’re in a different phase in your life! It is rare to see a little girl so adorable yet so mature. You are a gift of nature, and I’m proud to be called your family member! Happy Birthday! With a little girl as cute as you in their family, one can only feel proud, and excited to see that our DNA can accomplish such great things! Happy Birthday! With your endless cuteness and amazing personality, you can win the hearts of everyone you desire! I can say that because it has definitely happened to me and your parents so far! Happy Birthday! On the day you were born, God was feeling generous and creative, thus, an amazing person was created. 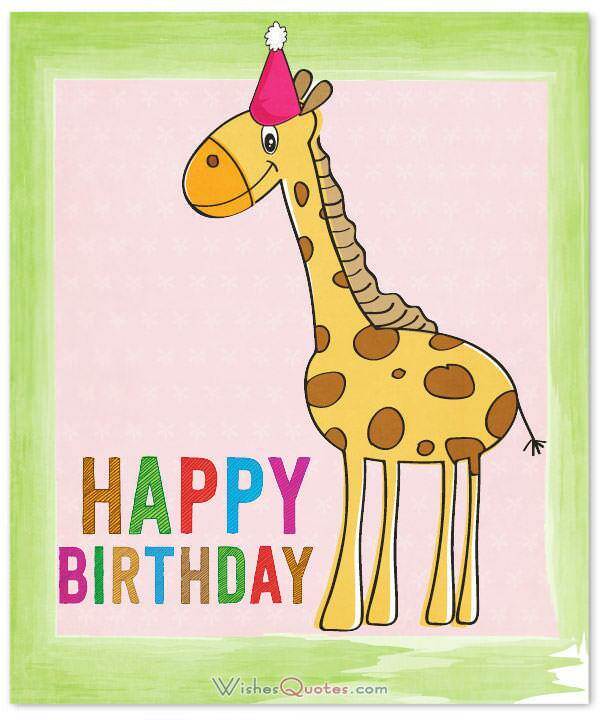 So, today, we celebrate that creativeness, by celebrating the day you were born! Happy Birthday! With a heart this warm, a smile so bright and a personality so amazing, it’s like you’re a work of art. One can only imagine how proud your parents can be because everyone else in the family is already proud enough! Happy Birthday! Your appearance in all of our family gatherings, really makes them worthwhile to me. Just getting to see how much you’ve grown and getting to learn from your parents about all the extraordinary feats you accomplish just makes my day! Happy Birthday! My little girl, you deserve all the happiness in the world, alongside all the good things this world has to offer! Everyone in the family is extremely proud of you. Happy Birthday! With this message, I send you my warmest of hugs, and my best wishes, because it’s what an amazing little girl like you deserves, one that I can only be proud to be related to. Happy Birthday! I hope that this special day of yours is filled with love, happiness and tons of candy! If I could hope for one more thing, it would be that all of your wishes come true, so that you can be the happy person we all aspire you become. Happy Birthday! If this day was an object, it would be a door, leading you to new adventures, that you now face one year older, one year wiser. Happy Birthday! I’d like to wish happy birthday to the brightest little sunshine in the room! Your smile brightens up the day of everyone around you and your warm heart can melt even the biggest iceberg. Happy Birthday! My wish for you, is that this special day of yours, is as sweet as you. Then you are guaranteed to have the best day ever! Happy Birthday! I sincerely hope that this day is filled with nothing but fun! It’s the only thing such an amazing person like you deserves. Happy Birthday! One can only imagine how proud your parents must be feeling to have raised such an amazing little girl. You truly make everyone around you happy. Happy Birthday! Every year that passes, it seems like you’re becoming even more amazing of a person. You truly are a gift to the world. Happy Birthday! Getting to know you have truly been a pleasure and a blessing. You are an exemplary child, with an amazing personality, and I sincerely hope that all of your dreams come true one day. Happy Birthday! If I can share one wish with you, is that I want to see you at the top of the world one day, having accomplished every single one of your dreams. You deserve it little girl because you are amazing. Happy Birthday! On this special day of yours, if I have one bit of advice to share, is that you should never let anyone rain on your dreams. You are amazing and you should believe nobody that says otherwise. It’s the only way that you are going to become the person you aspire. Happy Birthday! Brighter than the sun, prettier than the moon, with a heart filled with love as endless as the universe. You truly are a marvelous little creature girl. Happy Birthday! That was it! Hoped you found the inspiration you were looking for! If I have one tip to give you, is that whatever you choose to write, is 100% guaranteed to succeed, as long as it comes from your heart. There is no better word of love and appreciation as the one that comes from the depths of our heart. It doesn’t have to be anything flashy; you just have to say it like you mean it! After that, the rest comes down to how much work you are willing to do to show it. 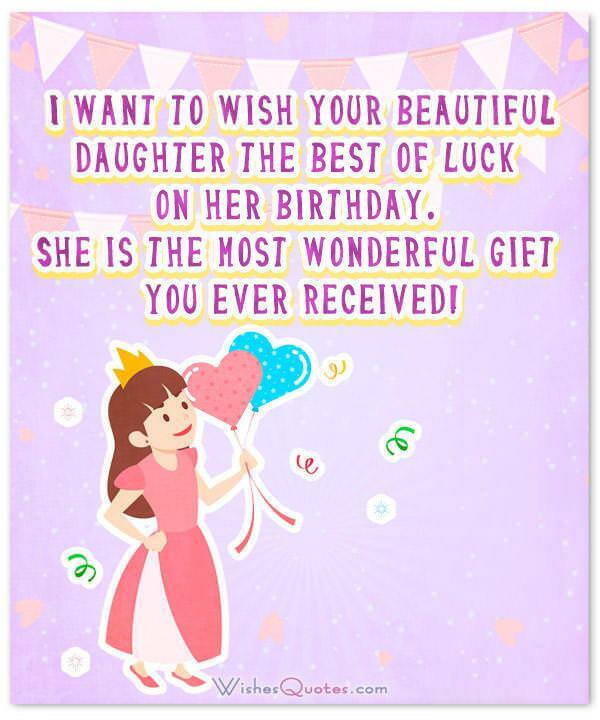 As I mentioned, maybe a birthday card with the wish handwritten on it, to go alongside a well-thought-out present, if you so choose to buy one, can be great ways to show that little girl the attention and appreciation she deserves on that very special day of hers!